Why would I need self storage in Kearns, UT? There are a variety of reasons why you might need self-storage in Kearns, UT. How much is a storage unit in Kearns, UT? The cheapest storage unit in Kearns, UT is $35.00 per month. What size storage units do you have available in Kearns, UT? In Kearns, UT we have sizes that range from 5'x5' to 10'x30' to suit your storage needs. How much is it for a 5'x5' storage unit in Kearns, UT? The cheapest 5'x5' storage unit in Kearns, UT is $35.00 per month. 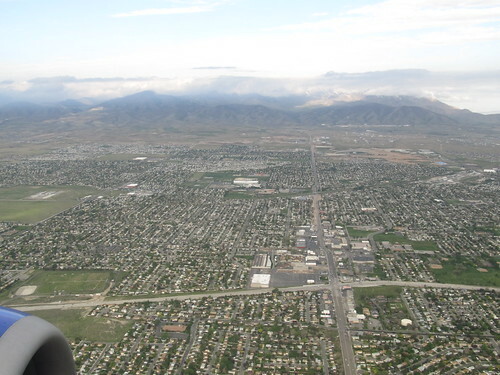 Kearns is a midsize township in northern Utah, a welcoming suburban community tucked among the scenic mountains. It's a popular destination for winter sports, and home to a mix of families and young singles. Kearns is only about 12 miles from Salt Lake City, so you can easily make the short drive for work, entertainment or school. Kearns was founded during World War II in 1942 as a U.S. Air Force training facility. The Air Force chose the location because it was far enough inland to protect it from attacks, making it a very strategic spot. The military base was closed in 1946, a year after the war ended. Several buildings were left on-site, but they were removed after an auction in 1948. Once decommissioned, the former base attracted developers who wanted to build subdivisions south of downtown Salt Lake City. Today, Kearns is a suburban community made up of many of these same residential subdivisions. The population of Kearns has been steadily growing since the 1970s, drawing new people with its abundant job opportunities and outdoor recreation areas. The low unemployment rate is also very attractive, resulting from the city's steady industrial and commercial growth. Even with a good selection of jobs available in Kearns, however, many locals commute to Salt Lake City for work. Kearns is also noted for its high altitude, which makes it a great destination for winter sports. The Utah Olympic Oval was built in Kearns for the 2002 Winter Olympic Games, and is currently open to the public as a venue for hockey, figure skating and speed skating. Public school students in Kearns are part of Granite School District. In addition to its public elementary, middle and high schools, the school district also manages several specialty schools and programs to meet the needs of all students. Utilities: The primary utilities providers in Kearns include Rocky Mountain Power, Questar Gas and the Kearns Improvement District. Garbage and Recycling: Most homes receive trash collection services from Wasatch Front Waste and Recycling District. Transportation: Salt Lake City Public Transportation operates a large network of public transit options in the greater metro area. Compared with Utah state averages, Kearns has a fairly affordable housing market. There are a variety of housing options to choose from, ranging from small town homes and apartments to large, single-family homes with spacious backyards. Our lowest priced units in Kearns, UT average $35.00 per month. 47 people have reserved units in Kearns, UT in the past 30 days. There is 1 location within Kearns, UT's city limits.